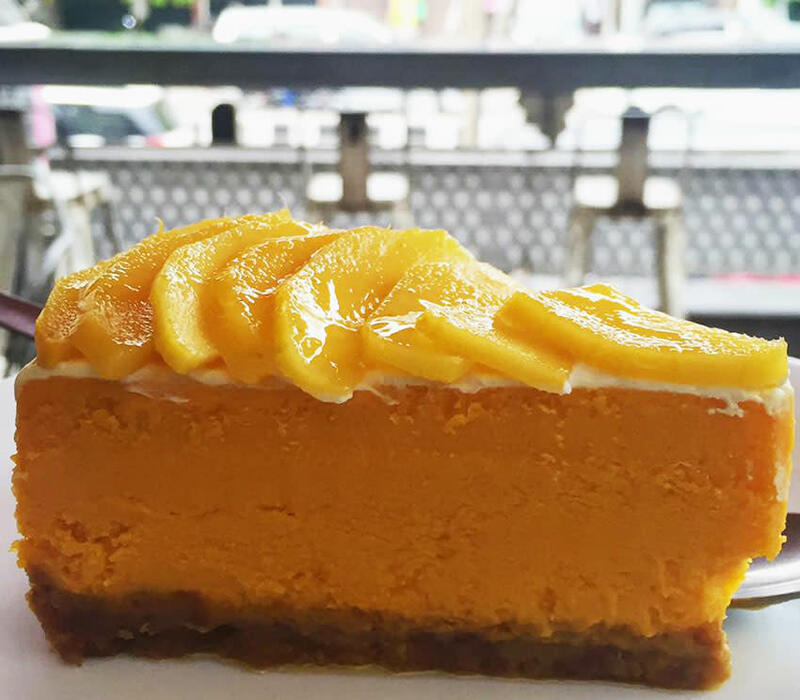 All Ya Mango People, These 8 Oh-So-Yummy Mango Desserts In Delhi Will Make Ya Go Crazy! Perhaps the only perk of this scorching Delhi heat are the juicy, flavorful mangoes available in abundance. The king of fruits has reigned over our hearts ever since we tasted it. 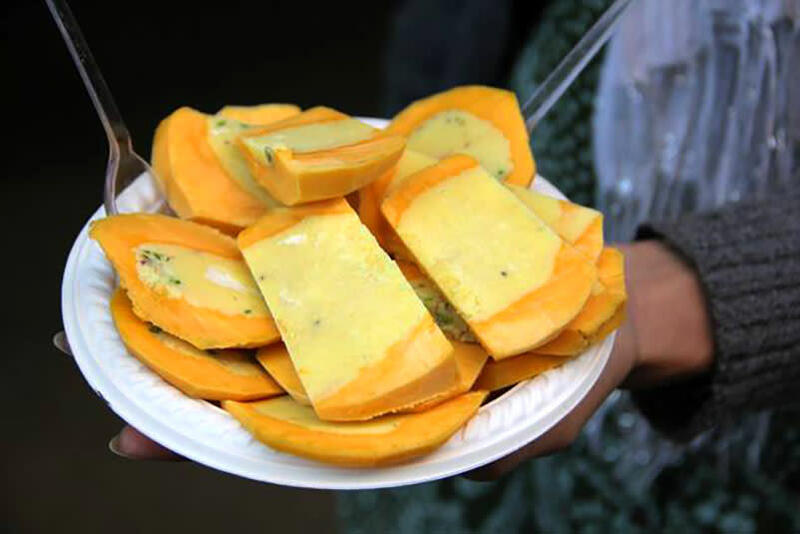 And with summer season back in town, we are going gaga over mango desserts that saddi Dilli has to offer. So here we’ve rounded up a list of 8 crazy mango desserts that’ll give you more reasons to devour this oh-so-yummy fruit! How about a healthy frozen dessert infused with your favourite fruit this summer? Blending the king of fruits with the healthiness of gelato brings out a delicious and tempting mango gelato. It’s a true antidote to this boiling and health-conscious Delhi. Head on over and simply spoon up creamy scoopfuls of this delicious heat buster when in need of a pick-me-up! Another healthy dessert option is a heaping cupful of mango yogurt! 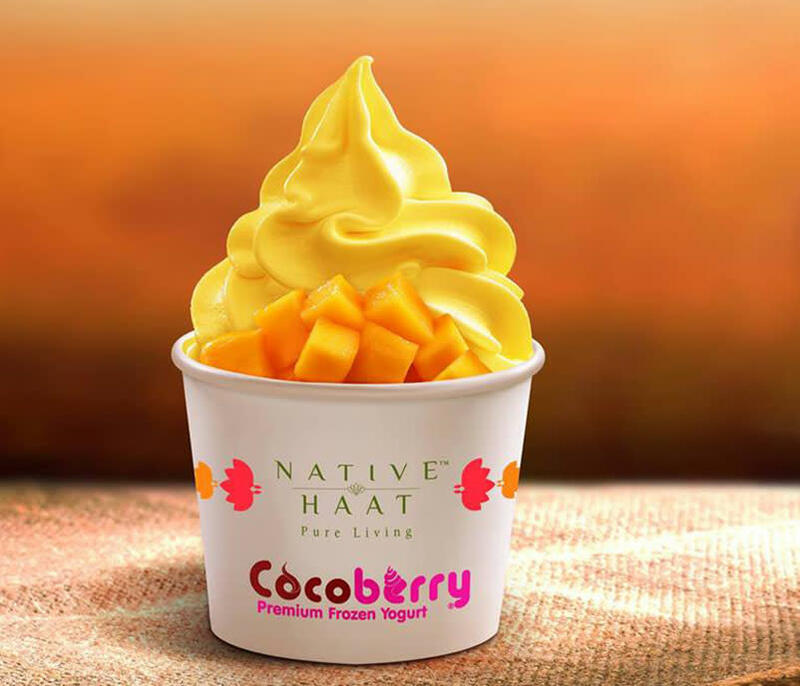 Yogurt and mango, the two best coolers in summer can come to rescue you during these relentless summer months. A creamy mango yogurt topped with your favourite toppings (think whipped cream and sprinkles) makes one of the healthiest yummiest mango dessert you can have. Devour it anytime, guilt free at the Cocoberry near you! Omg we&apos;re so in love with this yummy option! Delicate and weightless, macarons tickle and tease every sweet fantasy in you. 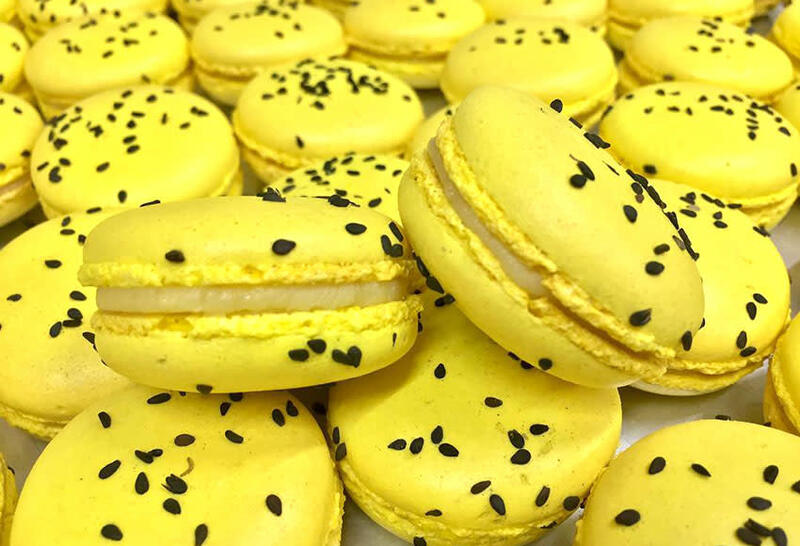 There is so much to love about a macaron - the pillowy texture and the cream within to begin with, and when these airy bombs are pressed with a cream infused with the goodness of a mango, then it becomes a license to heaven and all places sweet! The fact that summer and thandi kulfi are quite synonymous, is enough to justify our love for this all-time favorite dish. This creamy, soft and frosty delicacy is a universal saviour for scorching heat. And if you’re looking for a perfect place to find great Mango kulfis then head to Kulfiano without a second thought! 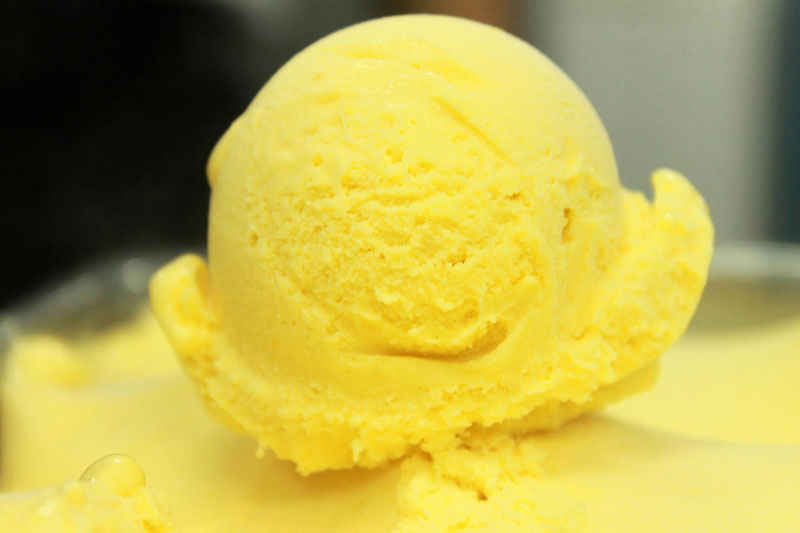 The rich, creamy flavours makes you feel like you’re actually eating a mango! Waffles + Mangoes = what could possibly go wrong here? 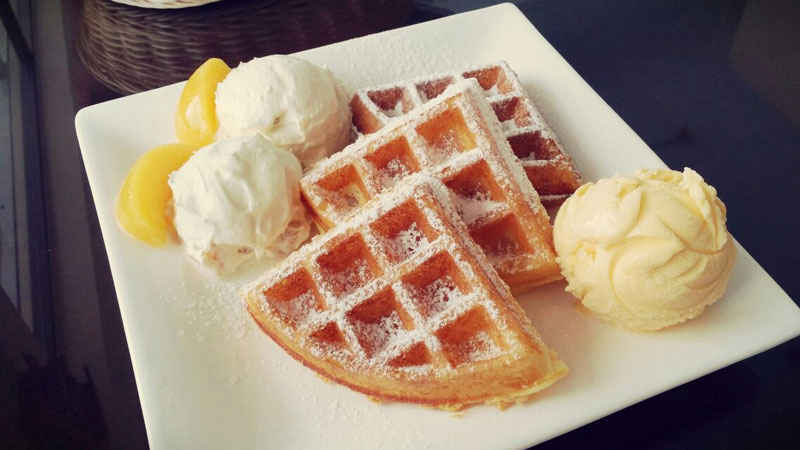 How about a waffle served with mango ice cream and chunks of freshly cut mangoes? Yes, it’s real. So ditch the mainstream waffles, and cool yourself off with soft, crispy and yummilicious mango waffles at Wafflesome, for it is the month of mangoes! 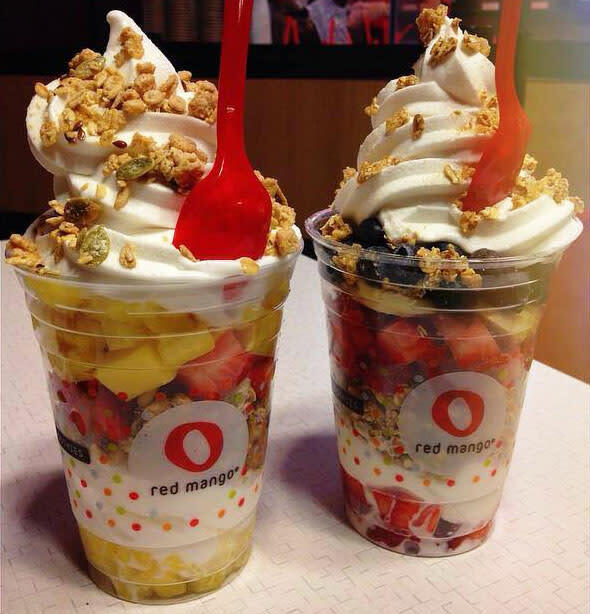 This one’s a pure delight for all ya fitness freaks ‘cause the Mango Parfait at Red Mango is all things healthy! Thick layers of freshly cut mango and strawberry pieces topped with creamy frozen yogurt and mueslis - this parfait is just yummilicious and a perfect dessert. So whatcha thinking about? Go grab one for yourself RN! A cheesecake bursting with rich, creamy and tropical flavor is a true companion for summertime. The smooth as silk hung curd punctuated with a tinge of sweetness and freshness of a mango is all you need to cool yourself off this summer. Go binge on it, and let it freshen you up with all its fruitiness - you know you want to! 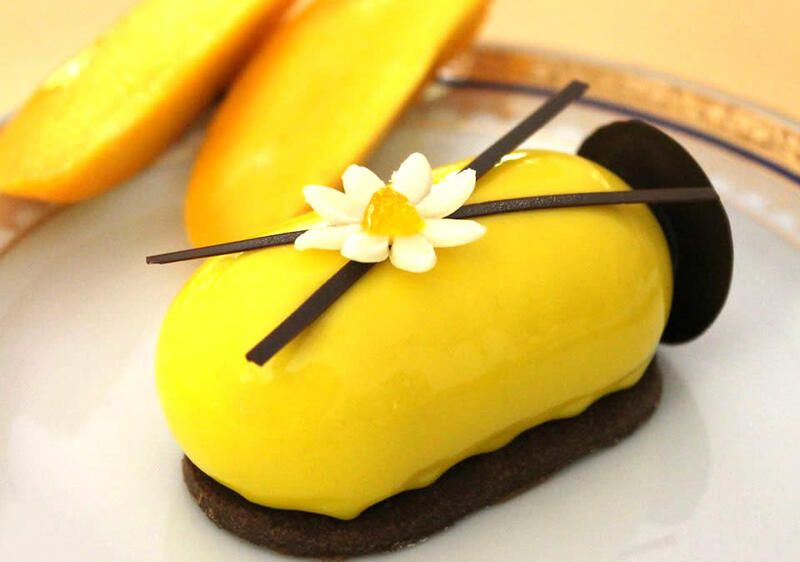 Soft, light, creamy and everything tasty, the Mango Mousse at L&apos;Opéra is all this and more! Light and airy, this mousse makes you experience mango like never before. Made freshly with sweetest mangoes, this is one dessert you CANNOT miss out on!